New Delhi: Revenue Secretary Hasmukh Adhia has been designated as the new Finance Secretary, an official order said today. Mr Adhia is a 1981 batch IAS officer of Gujarat cadre. The vacancy was caused following the superannuation of Ashok Lavasa last month. 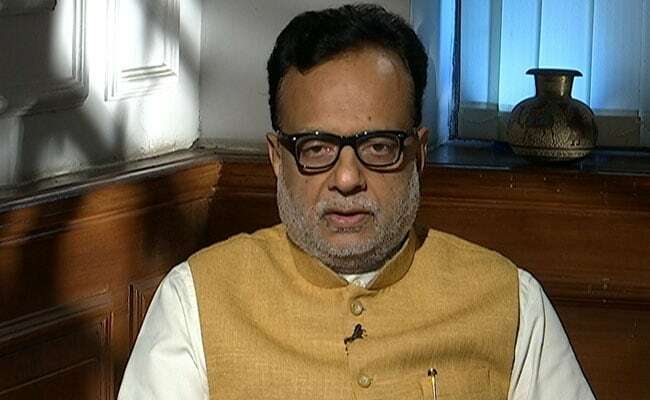 The Appointments Committee of the Cabinet has approved designating Adhia as the Finance Secretary, the order issued by the Department of Personnel and Training said. There are five departments under the Finance Ministry-- Expenditure, Economic Affairs, Financial Services, Revenue and Department of Investment and Public Asset management (DIPAM). IAS officer Rajiv Kumar of 1984 batch is the Financial Services Secretary. Ajay Narayan Jha is Expenditure Secretary and Neeraj Kumar Gupta Secretary, DIPAM. Both are 1982 batch IAS officers. Subhash Chandra Garg, a 1983 batch IAS officer, is Economic Affairs Secretary.